Super Powered Battle Friends is a 2D indie platform fighter featuring hand crafted pixel art and a colourful cast of characters. Get ready for incredible local multiplayer and online multiplayer modes and the gameplay depth for those intense competitive 1 vs 1 matches. Super Powered Battle Friends is great for competitive players and social players alike. 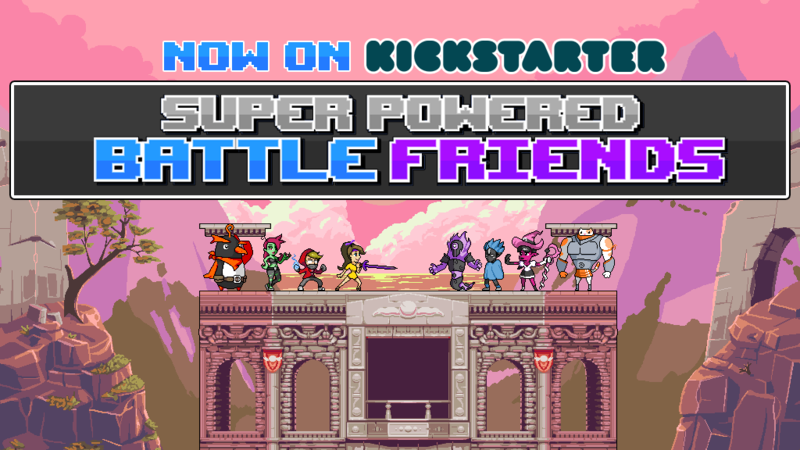 Super Powered Battle Friends: a 2D platform fighter bringing Mod Support and a variety of fun game modes to the table is now LIVE on Kickstarter! Mod Support! GAME MODES! SPBF will have a large variety of fun and quirky game modes! We just dropped our Early Access Trailer on youtube! Something big is in the works over here and the Super Powered Battle Friends needs YOU!